To run the hospice each year costs £11.2 million around 75% of this amount is funded through the generosity of local people. 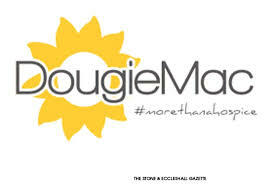 We would welcome anyone choosing to do a skydive for DougieMac and would encourage you to contact our fundraising team on 01782 344304 or email fundraising@dmhospice.org.uk. A few of our fundraisers have experience of doing a sky dive for our last ‘Team Dougie Mac’ Skydive in February 2016!